Should I Have Kids eBook - Kids or Not? Using the 6 essential keys you can find the right answer for you - kids or not - and confidently make your decision. Do I really want kids? Will parenthood bring me the greatest fulfilment and joy or is a childfree life the best future path for me? THE 6 ESSENTIAL KEYS INCLUDE PROFESSIONAL TOOLS & STRATEGIES TO ENSURE YOU MAKE THE RIGHT CHOICE FOR YOU. Powerful & unique tools that will make it clearer, quicker & easier for you to reach your decision. A counselor's comprehensive guide that is filled with 211 pages of professional advice. A step-by-step process to figuring out the best path & timing for you. Essential strategies for working through your confusing thoughts & feelings. A thorough approach that will lead to a clear decision that you can feel sure & confident in, and limit the possibility of future doubts & regrets. 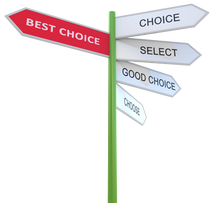 Discover the best choice for you. Do you want help to discover the right choice for you? Yes, help me find my answer! Access to the book is instant! And it is in PDF format so it is readable on any computer or device. Find out more about what's in the eBook (including the 6 key steps) below! The 6 steps are easy to follow and will guide you towards finding out the answer best suited to you. 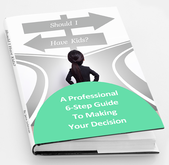 Throughout the eBook you will identify and work through the reasons for your indecision and the aspects that may be complicating your thoughts and emotions such as problematic motivating reasons, fears, beliefs and expectations. You will learn more about yourself and what you really want for your life and whether having kids is part of that ideal life. Full of helpful information, exercises and guidance - you can access this eBook instantly, and go through the steps at your own pace. 1. Figuring out who you are and what you want for your life; is it more aligned with parenthood or a childfree future. 2. Exploring how a child might change different aspects of your life; and looking at your willingness and readiness to adapt to those potential changes. 3. Evaluating your motivating reasons for wanting kids or staying childfree: if they are healthy or not, and therefore whether they should continue to influence your decision. 4. Looking at other aspects that may be affecting your decision - fears, obstacles or challenges; beliefs, expectations & assumptions of parenthood vs childfree; dealing with external pressures and influences; relationship complications (such as what to do if your partner doesn't want kids); considering being a single parent; non-traditional parenthood & other options for having children as part of your life; considering staying childfree. 5. 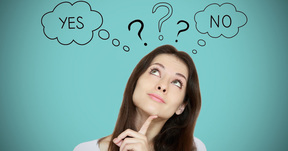 How to make your decision: Evaluating the pros & cons, opportunities and challenges; which should rule - your heart, head or gut instinct; weighing everything up; the decision-making process - breaking it down into steps. 6. Moving forward with a plan and with peace and confidence in your decision. Dealing with fear, doubts or regrets if they surface. Dealing with the opinions, expectations and pressures of others. Enjoying your chosen path. Will I regret it if I don't have kids? Will I cope with parenthood, or the pressure from others if I choose not to have kids? Do I really want kids? And if so, when? Would I be happier having kids or staying childfree? 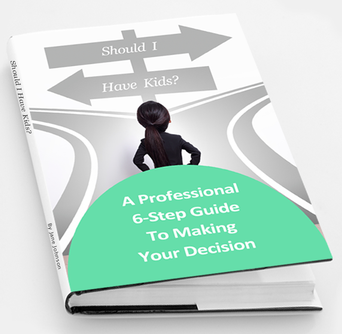 Many people also find that from reading this eBook, and going through the general should I have kids decision, it ends up improving how they look at their lives and at themselves because it requires you to really identify who you are, what you value in life, and what gives your life meaning. So, you might find there is an upside to making this difficult decision: That no matter which choice you make you will move forward with greater wisdom, strength, meaning, happiness and fulfillment in your life. It really is worth putting in the time and effort to work out the best future path for you so that you limit the possibility of future regrets & doubts, and increase the likelihood of life satisfaction and joy.